PORTLAND, OR — Meet the next generation of music research — the Crowd Source Music Test®, or CSMT®. It is the most accurate, most cost-effective way for broadcasters to determine what songs their audiences want to hear. The Portland-based company that pioneered the test, P1 Media Group, is so confident clients will be satisfied with results from the CSMT®, it is offering their money back if they aren’t. That’s a radio first. Traditionally, broadcasters and others have paid heavily to conduct audience research in person in a process known as Auditorium Music Testing. But that kind of test has become an expensive proposition. As costs for auditorium testing rose, a second generation of testing, the Online Music Test was born. While it improved accuracy and cost less than auditorium testing, it still is priced out of reach for many programmers. Enter the Crowd Source Music Test®. The CSMT® on average delivers samples five to 10 times larger than traditional music testing for around half the cost. And P1 Media Group’s experience shows the results match or exceed those from more expensive research methods. 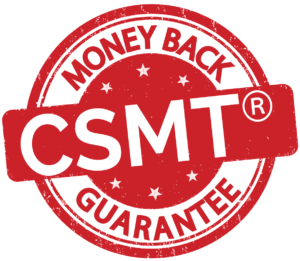 Programmers who want to know more about how the CSMT® works or would like to roll out their own tests are invited to visit us at CSMT® Guarantee or by calling +1 360 910 4119.